You&apos;ve experienced the multicultural culinary scene of Vancouver, explored the beaches around Stanley Park, and been inspired with the works of art throughout the city. 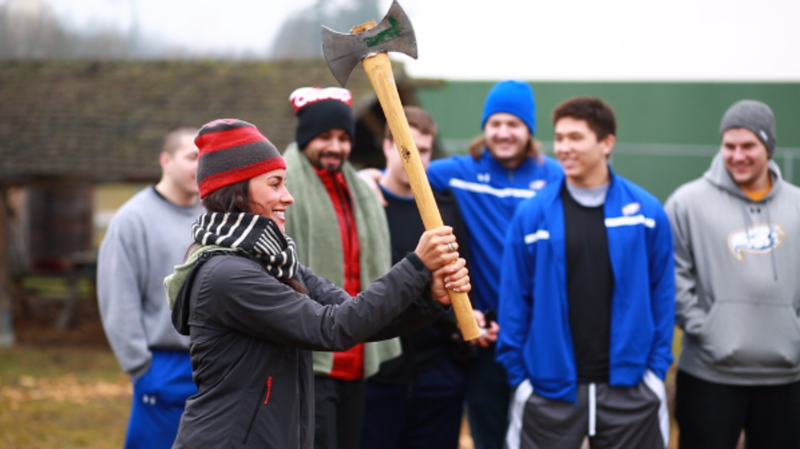 Now it&apos;s time to grab your friends, pick up an axe, and test your hand at the outdoorsy activity of axe throwing. THROWN is available on demand for groups or you can drop in at their league nights. It&apos;s a chance to exercise your deep desire to be a true Canadian lumberjack. Feel free to grow out your beard or shop for a flannel in preparation. Now for the men who are more comfortable in an urban setting, but crave a deeper connection with nature, sign up for Wellmen Adventures. On their guided experience, they will not only highlight some of the best natural amenities in and around Vancouver, but also inspire you creatively and professionally with activities like logger sports, fire building, and meditation. Let us know if you hit that bullseye.